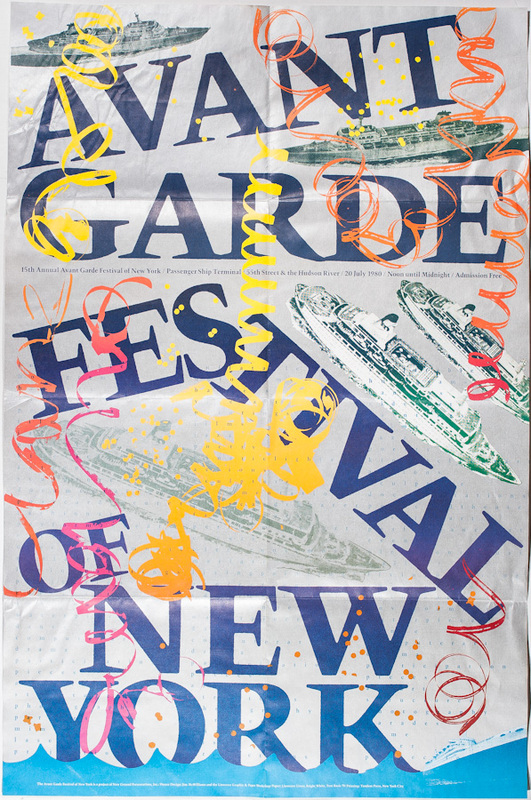 Poster for the Avant Garde Festival of New York, 1980. Festival organized by Charlotte Moorman. Poster designed by Jim McWilliams and the Linweave Graphics & Paper Workshop.